We do not frame our oil painting reproductions. Hand-Painted Art Reproduction is an expensive product, and the risks of damaging a painting stretched on a frame during transportation are too high. 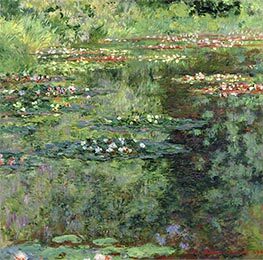 Nympheas at Giverny by Monet is, therefore, not framed, and will be sent to you rolled up and packaged in a strong and secure postal tube. 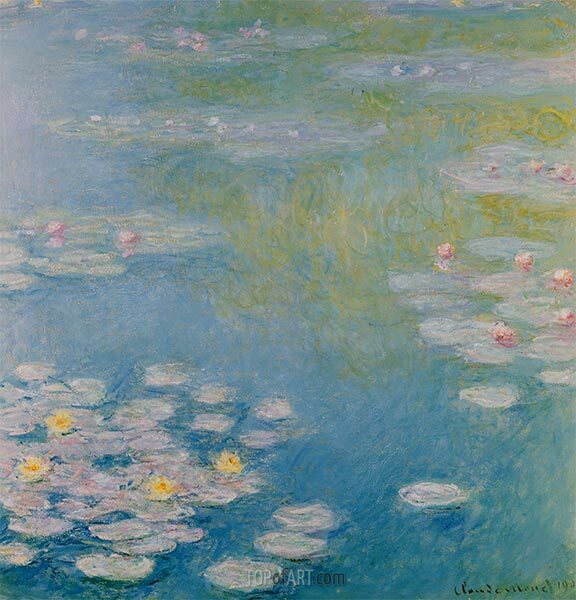 Your Nympheas at Giverny Canvas Print is individually hand-made, using sophisticated digital technology. The process of Giclée print technology imparts to the Art Print a vivid clear color, an incredible level of detail, and the authentic charm as from a museum original. The unframed print of Nympheas at Giverny will be shipped rolled up in a postal tube. The framed Canvas Print will travel packaged in a cardboard box with additional corner protectors.